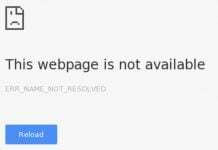 Sony didn’t bring the new Xperia Z4 at MWC expectedly, but it has brought recently rumored Xperia M4 Aqua and Xperia Z4 Tablet along with three accessories. 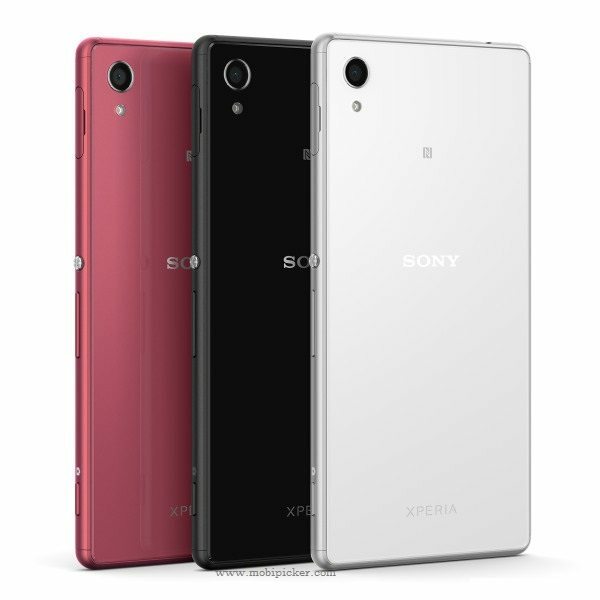 The Xperia M4 Aqua is a high-end mid-ranged smartphone, while the Xperia Z4 tablet is new high-end slate, a successor to Z2 tablet. 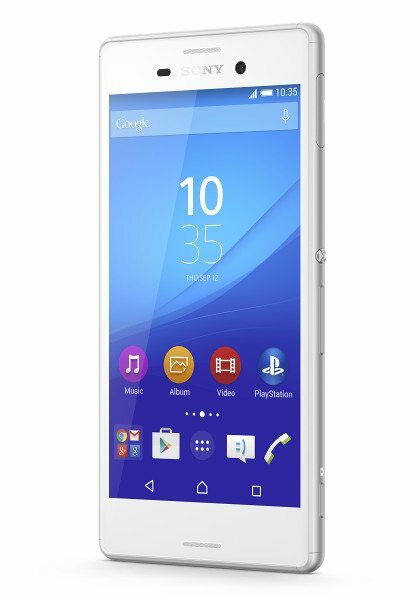 The Sony Xperia M4 Aqua sports a 5.2 inch IPS display with 720p resolution, and is powered by a Snapdragon 615 chipset, paired with 2GB of RAM. The smartphone packs 8/16GB internal storage, Adreno 405 GPU, 13MP rear camera with LED flash, 5MP front shooter, and a 2,400 mAh battery. 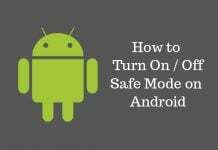 The device comes with LTE connectivity and runs Android 5.0 Lollipop. The Xperia M4 Aqua is very similar to Xperia Z3 in terms of design and it has IP68-certification for dust and water resistance. The phone has a tempered glass to protect the front end. The M4 Aqua will be available from late March with a €299 price tag. Sony Xperia Z4 Tablet built around a 10.1 inch IPS display enhanced with Triluminos technology and X-Reality Mobile engine, with 2560 x 1600 pixels resolution (300 ppi). 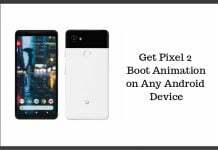 The slate uses a Qualcomm Snapdragon 810 chipset with Quad-core 1.5 GHz Cortex-A53 & Quad-core 2 GHz Cortex-A57 processor, paired with a 3GB of RAM. The Z4 tablet is packed with 32GB internal memory, 8MP ExmorRS camera at rear, 5MP wide-angled selfie, 4G LTE connectivity, and a powerful 6,000 mAh battery. The company claims up to 17 hours video playback with one charge on the battery. 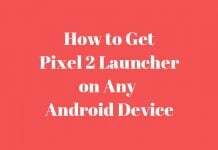 The tablet runs Android 5.0 Lollipop with tablet-optimized Xperia launcher. 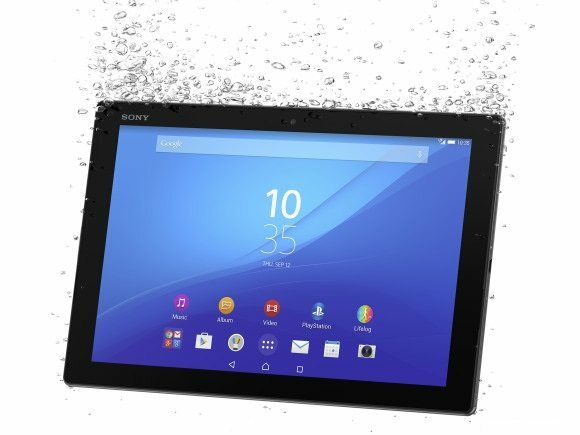 Like Xperia M2 Aqua, the Xperia Z4 Tablet is also IP68-certified, which turns the device into dust and water resistance capabilities. The slate is amazingly super thin measures 6.1mm and weigh 395 g. It will be available in white and black color options. There is no information on the price yet, though the tablet will hit markets starting June this year. 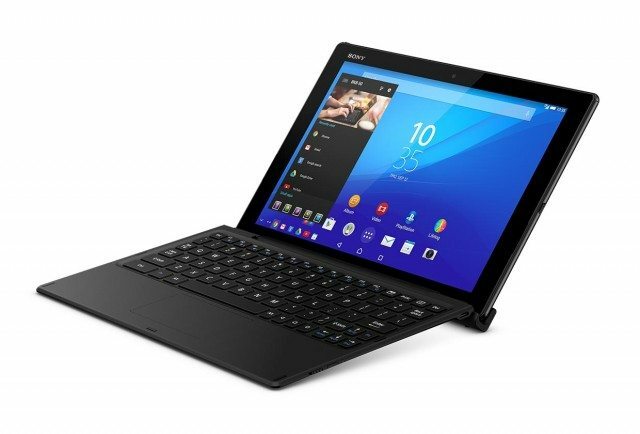 The Japanese company has introduced Sony BKB50 Bluetooth Keyboard, exclusively designed for the Xperia Z4 tablet. It is detachable accessory with adjustable tilt angle, complete with a docking station. The keyboard dock comes with printer and projector ports. 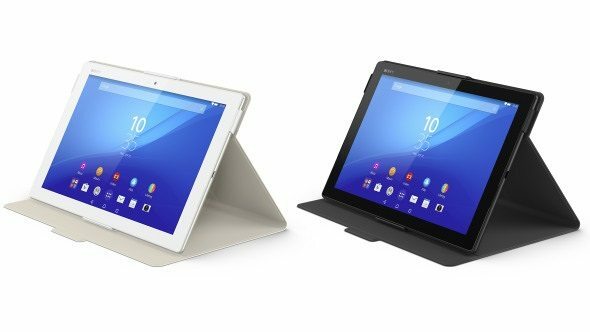 The Sony SRC32 cover is a flip cover for the Z4 tablet, which stand with two static positions. The cover comes in black and white color. 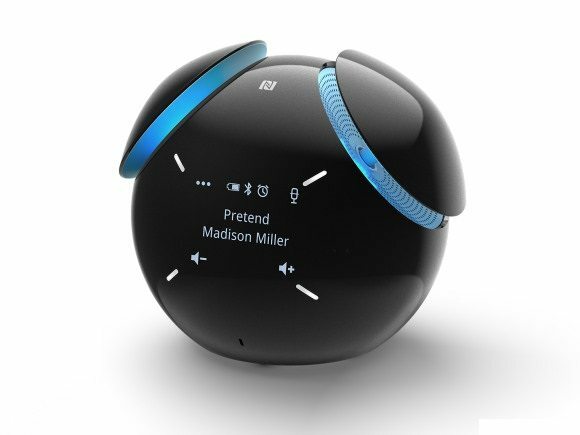 The third accessory, which comes for the super thin tablet is Sony BSP60 smart speaker, that is wireless and supports one-touch connectivity. All three accessories will be sold separately.